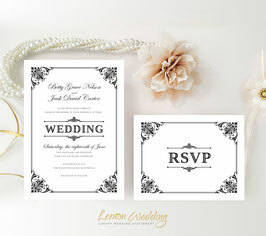 Deliver all the details of your upcoming wedding to your close friend and family with our Simple Wedding Invitations. 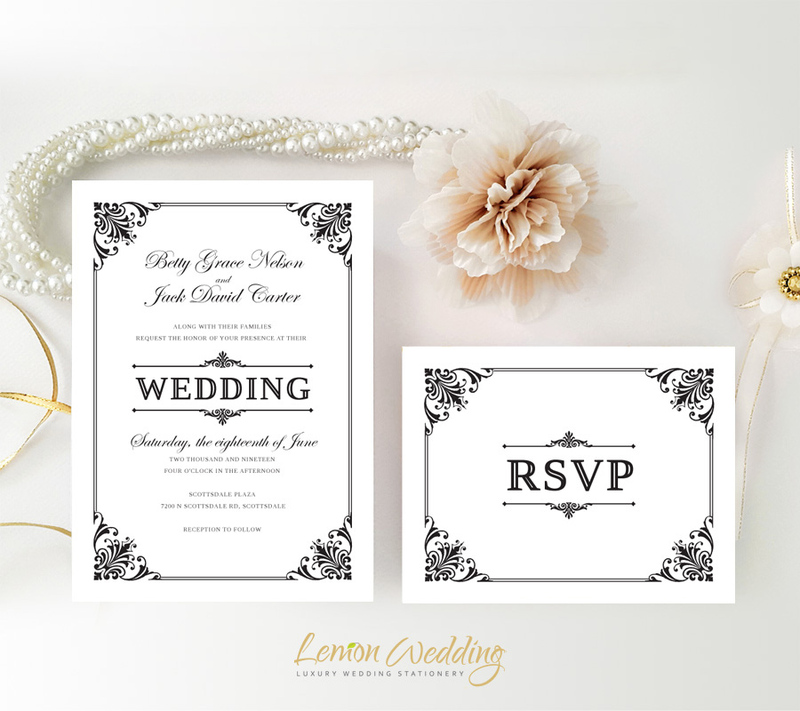 Our black and white invites are adorned with a gorgeous ornate border that will beautifully surround your wedding details. 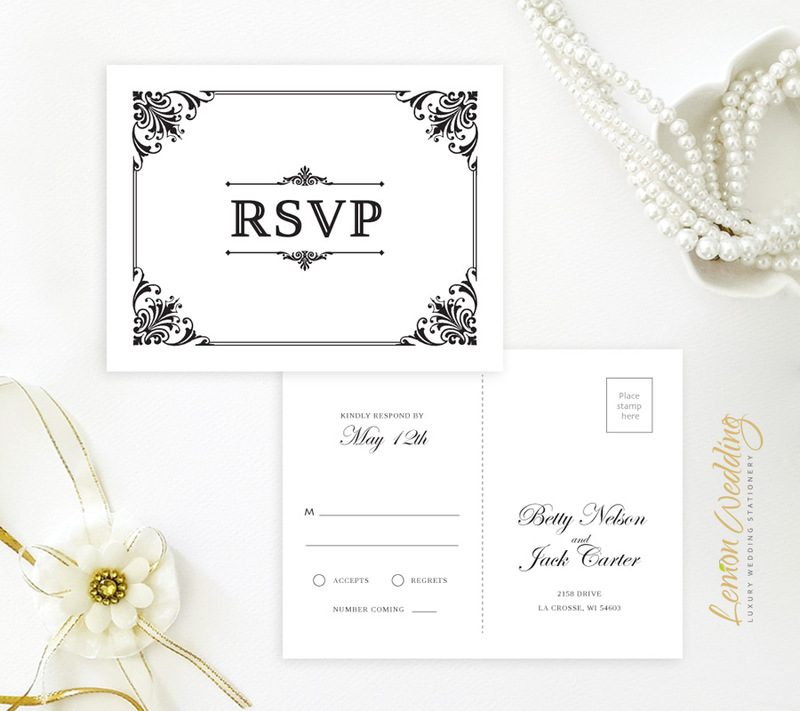 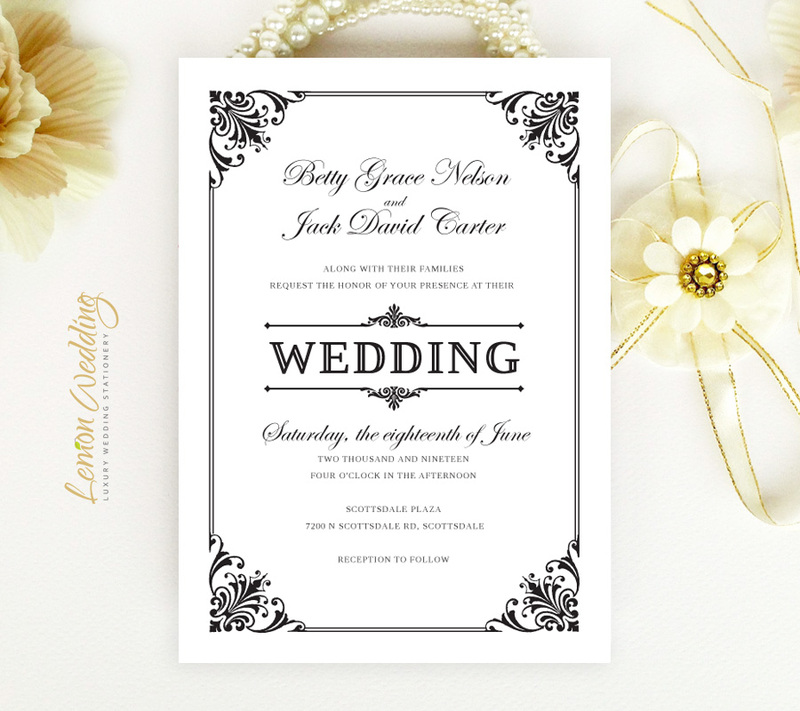 Printed on premium card stock, the invites are perfect for a classic style wedding.